Rita came to us from a vet clinic in Enterprise, AL. She was about to be euthanize. She is severely overweight and has been put on a diet. She will be available for adoption in April 2016. She will be spayed. 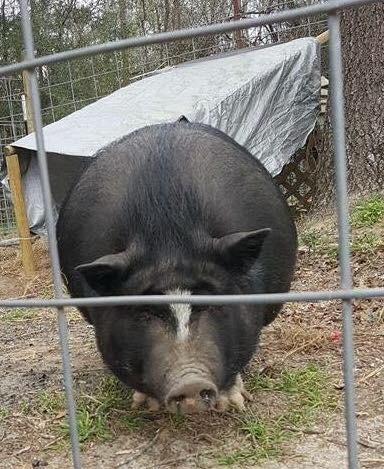 She has been an outside pig. She gets along with other animals and is very sweet. Very sweet. Hand tame. Must be inside. Fixed. Adoption fee is $50. Very sweet. Hand tame. Spayed.